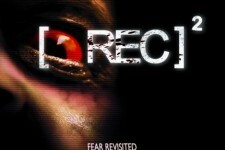 The highly anticipated sequel to one of the scariest films of all time, "[Rec] 2" picks up 15 minutes from where we left off, taking us back into the quarantined apartment building where a terrifying virus has run rampant, turning the occupants into mindlessly violent, raging beasts. A heavily armed SWAT team and a mysterious government official are sent in to assess and attempt to neutralize the situation. What they find inside lies beyond the scope of medical science—a demonic nightmare of biblical proportions more terrifying than they could have possibly imagined. Above all it must be contained, before it escapes to wreak havoc on the unsuspecting world outside.